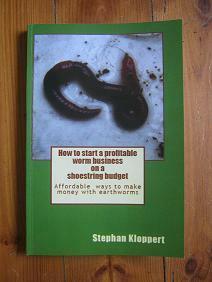 Hi Stephan - I bought some worms from you at the end of last year. any ideas on how to get rid of this ? I am sorry to hear about your problem. Although you didn't send a picture of the maggots in your worm farm I am pretty sure that you are having in infestation of Black soldier fly maggots in your worm farm. 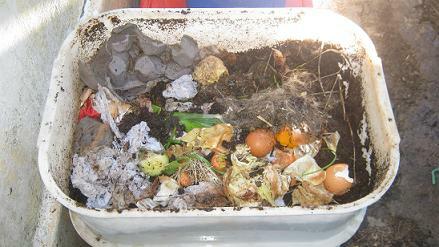 Although they are actually great to recycle kitchen scraps and other organic waste as well they tend to take over a worm farm and the worms usually flee to the lower parts of their worm bin and sooner or later the worms either die or leave the bin and the whole worm farm turns into a smelly sludge. The black soldier flies are attracted by decomposing fruit and vegetables that are easy accessible. - Cover the surface of your worm bin with a thick soaked newspaper and a plastic sheet or bag. Make sure the newspaper is covering all the worm food and than cover the newspaper with the plastic bag. The newspaper acts as a natural barrier against flies and solder flies, allows the worms which dislike light to feed right on top of their food layer and the plastic sheet acts as an additional protection against unwanted invaders and keeps the bedding of the worm farm longer moist. To save your worms and your worm farm once a worm bin is infested with solder fly maggots do the following. 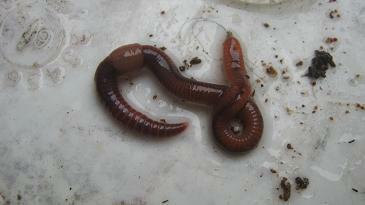 - Remove all the maggots you can see from the worm farm and place them in a bucket or any small container without a lid. It is usually quite easy to spot the maggots as most of them are feeding frantically together on the surface of the worm farm. You can than either add them to a compost heap, feed them to fish or chickens or leave them in the container for some time on a bright sunny day. When the maggots have died you can feed them to the worms. We have many worm farms on our premises but hardly ever have problems with the BSF maggots. Comments for Maggot infestation in my worm farm! How can I get rid of them? thank you for the compliments. It is always be nice to get some good feedback for all the hard work that went into this Website. To answer your question. The way I understand you your worm bin has been invaded by Black Soldier Fly maggots!? In that case I would not wait but rather remove all or at least as many of them as you can to avoid the risk of loosing all your worms. 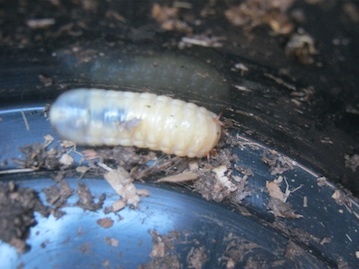 Here are a few more articles of mine that should help you to deal with the problem of maggot infestation in your worm bin. Let me know if you where successful or need any other advise about your worms? 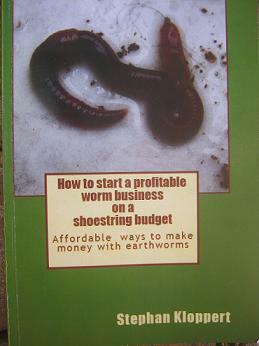 Author of "How to start a profitable worm bin on a shoestring budget"
This has been extremely helpful as we figure out our own worm bin. We have some maggots and I was wondering about how long it might take for the maggots to negatively affect the worms eating. I was reading the paragraph, " [...] and the worms usually flee to the lower parts of their worm bin and sooner or later the worms either die or leave the bin and the whole worm farm turns into a smelly sludge." from Stephan Kloppert. I know this is probably a hard question to answer without seeing our actual bin, but we are using a Roughneck 18 gallon Rubbermaid Storage Box and have kept in inside our porch until the fruit flies became a nuisance and we moved it outside. I am thankful for your post as we will be covering our air holes with Mesh and letting the soil dry out some. We might also try out the wet newspaper and plastic suggestion. Would you suggest IMMEDIATELY excavating the maggots or do you think they can be helpful for a few days to a few weeks in helping compost our food scraps without killing our worms because they are moving to the bottom of the bin and not eating? Hi TK thank you for your interesting comment. Can you please send us a picture of the maggots you found in your composter and maybe a picture that shows how a maggot is actually feeding on an earthworm? 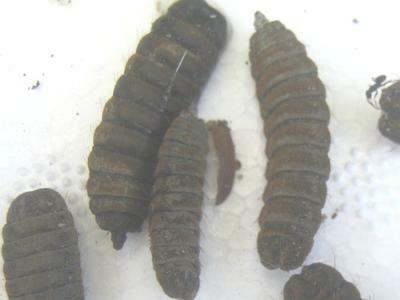 The only maggots that I know of that are actively recycling organic materials are Black soldier fly maggots. 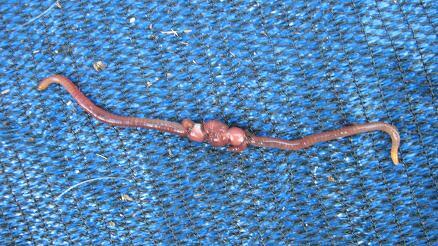 However although compost worms don't like to be close to them I have never seen a worm being eaten by the maggots. I do agree that BSF maggots are recycling organic mater quite fast. They don't like all organic materials presented to them and the compost they leave behind becomes usually soggy and quite smelly contrary to worm castings from a well run worm farm that are basically odorless. That's one of the reasons that I mostly rather stick with worm composting than working with BSF maggots. But as I mentioned above please send us some more information about the maggots in your composter and the finished compost they produce. I am sure it would be very informative for our community. I was horrified to see my hundreds of earthworms being devoured by the maggots in my closed compostor. Amazingly, the maggots we're far more efficient and expedient in breaking down the wide variety of material I added daily. I chose to go with it, and had a far more successful breakdown of material. I'll not contest it this year !!! they must be small enough for small fly's to access. keep in the kitchen which then is transferred to the farm 2x a week.